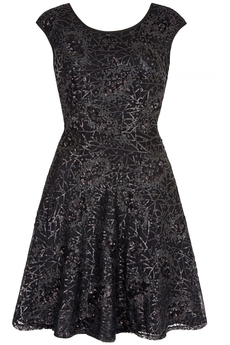 Yumi Sequin Pattern Prom dress is a must-have for parties and special occasions. In fit-and-flare style features an all-over intricate sequin design, fitted bodice and flared skirt. Has concealed back zip fastening, is fully lined and is approx. 92cm in length. Winter collection. Composition: 100% Polyester. Color: Black.